Recovered in good condition as described. It is set in a square concrete post, not a round post. 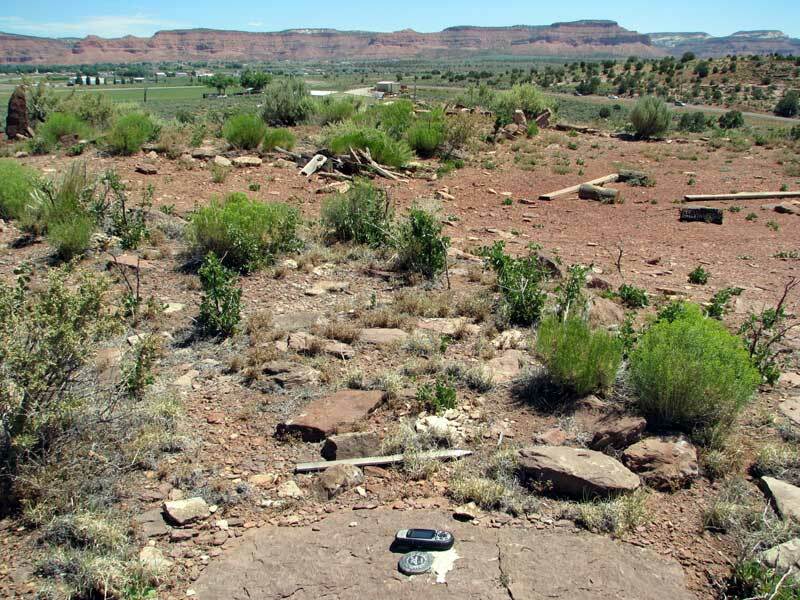 There are pottery shards scattered all around on the top of the mesa where the station mark is located. 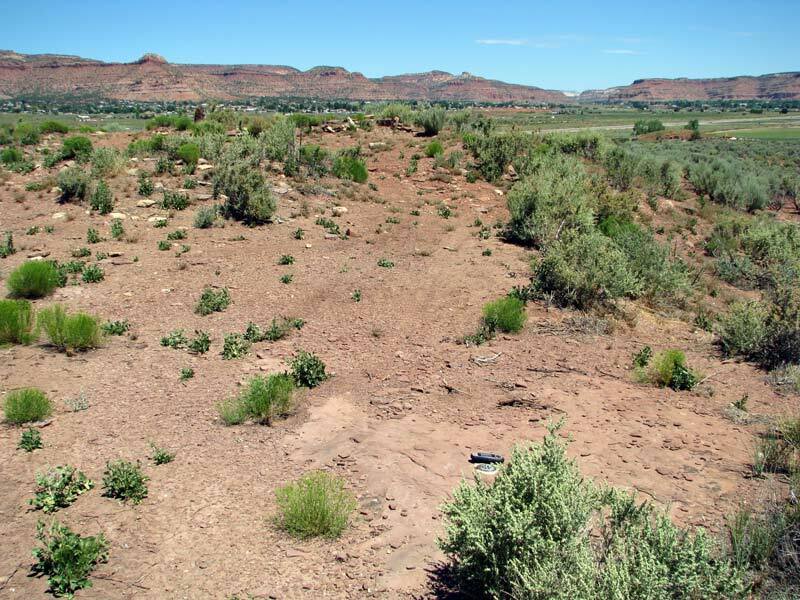 RILEY sta near the AZ/UT border. RILEY RM1 view towards the station. RILEY RM2 view towards the station. 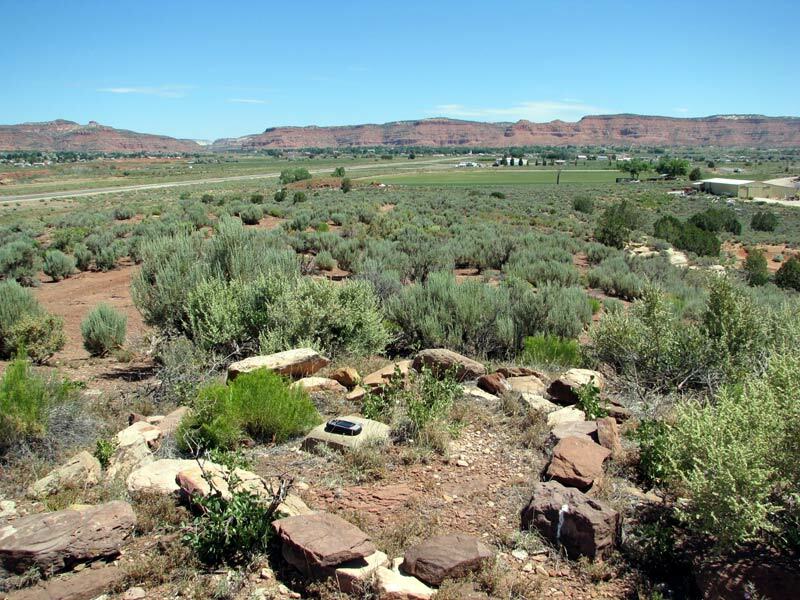 DESCRIBED BY COAST AND GEODETIC SURVEY 1953 (LGT) THE STATION IS LOCATED 3-1/2 MILES, AIR-LINE, NORTH OF FREDONIA, ARIZONA, 3 MILES, AIR-LINE, SOUTH OF KANAB, UTAH, 1/2 MILE EAST OF THE COCONINO-MOHAVE COUNTY LINE, 100 YARDS SOUTH OF THE UTAH-ARIZONA STATE LINE AND 12 FEET WEST OF A WHITE WITNESS POST. 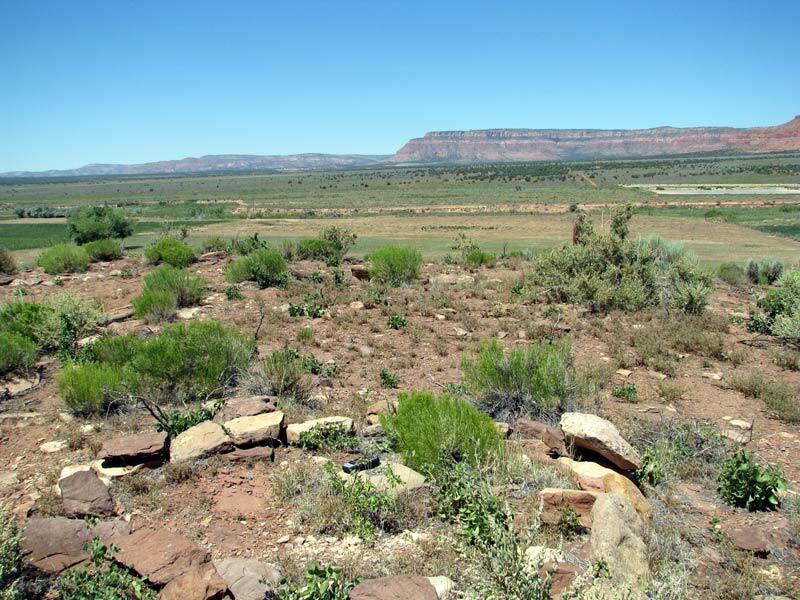 IT IS ON THE NORTH POINT OF TWO POINTS ON A PROMINENT BUTTE ABOUT 0.1 MILE WEST OF U.S. HIGHWAY 89. 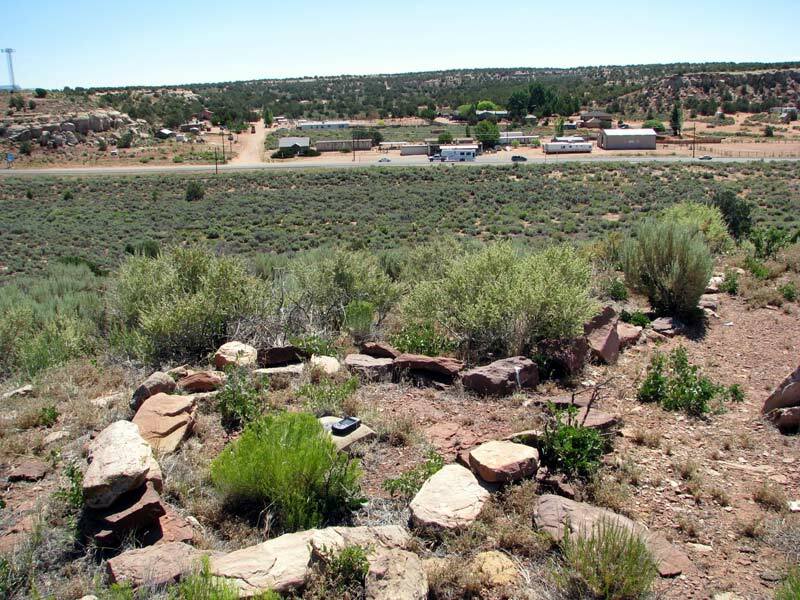 TO REACH FROM THE CHECKING STATION ON THE SOUTH EDGE OF FREDONIA, GO NORTH ON U.S. HIGHWAY 89 FOR 3.9 MILES TO THE AZIMUTH MARK ON THE RIGHT. CONTINUE NORTH ON THE HIGHWAY FOR 0.1 MILE TO A GATE ON THE LEFT. TURN LEFT, PASS THROUGH THE GATE, TAKE THE CENTER ROAD OF THREE AND GO 0.1 MILE TO A CROSSROAD. TURN LEFT, LEAVE THE ROADS AND PICK WAY UP THE SLOPE FOR 0.2 MILE TO THE STATION. A DRIVE STATION. 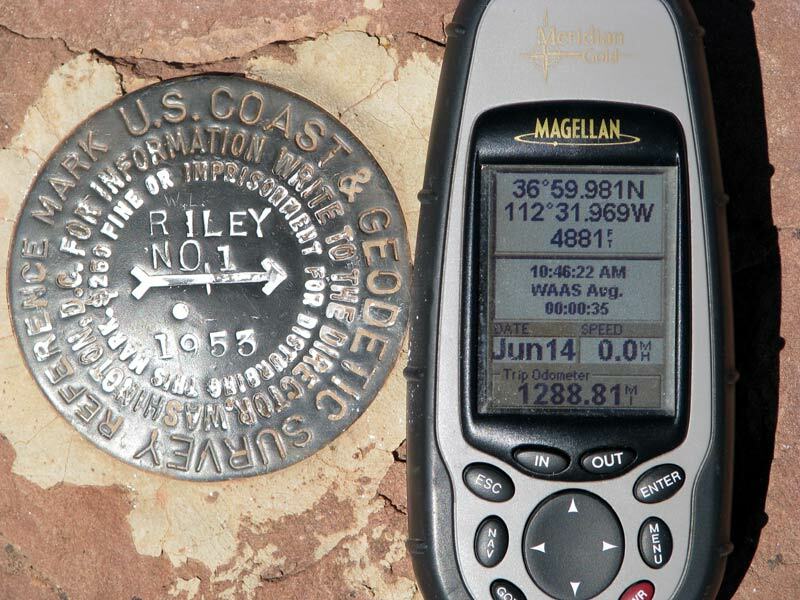 THE STATION MARK, A STANDARD DISK STAMPED RILEY 1953, IS SET IN THE TOP OF A SQUARE CONCRETE BLOCK WHICH PROJECTS 4 INCHES ABOVE THE GROUND. REFERENCE MARK 1, A STANDARD DISK STAMPED RILEY NO 1 1953, IS SET IN A DRILL HOLE IN OUTCROPPING BEDROCK WHICH IS FLUSH WITH THE GROUND. THE MARK IS ABOUT 3 FEET LOWER THAN THE STATION MARK. REFERENCE MARK 2, A STANDARD DISK STAMPED RILEY NO 2 1953, IS SET IN A DRILL HOLE IN OUTCROPPING BEDROCK WHICH IS FLUSH WITH THE GROUND. THE MARK IS ABOUT 18 INCHES LOWER THAN THE STATION MARK. 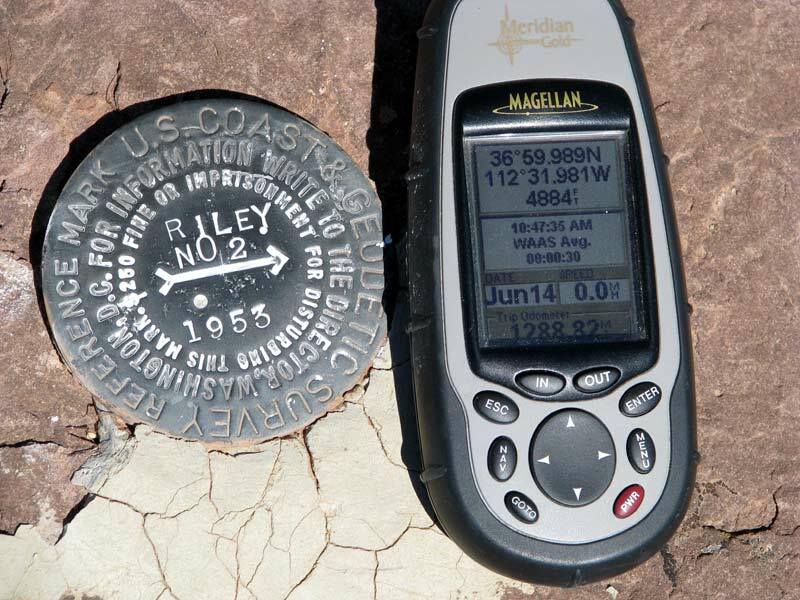 THE AZIMUTH MARK, A STANDARD DISK STAMPED RILEY 1953, IS SET IN A DRILL HOLE IN OUTCROPPING BEDROCK WHICH IS FLUSH WITH THE GROUND ON THE NORTH, BUT PROJECTS 14 INCHES ABOVE THE GROUND ON THE SOUTH. 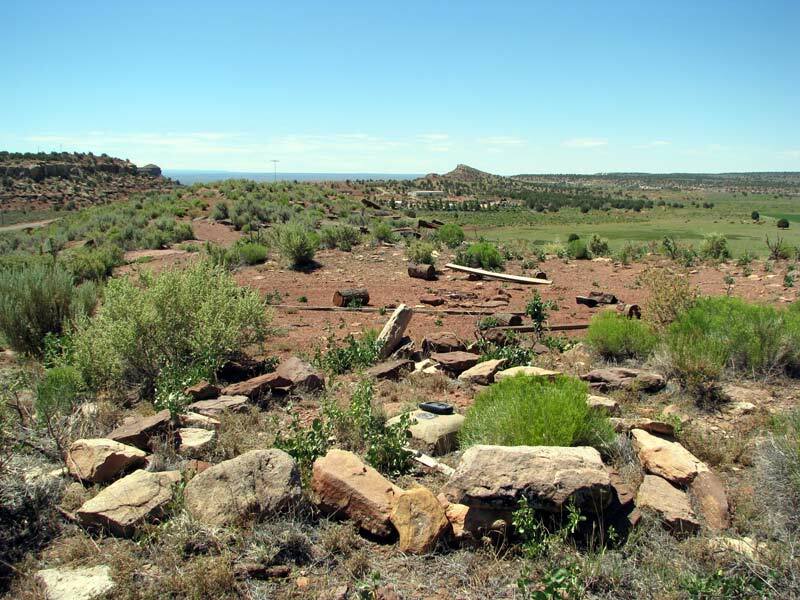 THE MARK IS LOCATED 42 FEET EAST OF THE CENTER LINE OF U.S. HIGHWAY 89, 16 FEET NORTH OF A WHITE WITNESS POST AND 4 INCHES WEST OF A FENCE. 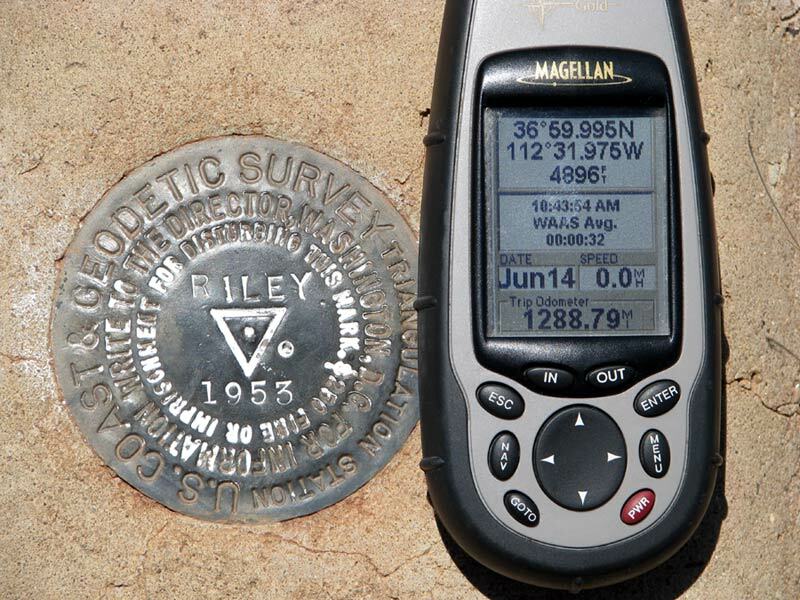 The horizontal coordinates were established by classical geodetic methods and adjusted by the National Geodetic Survey in November 1997.